These fun wedding favours are a great way to get your party started and your guests talking! Display them on a plate, or in a jar or bowl. 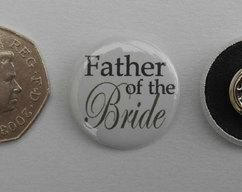 Discounts available for larger amounts, also, if your would like to specify specific numbers for wording on badges (e.g. 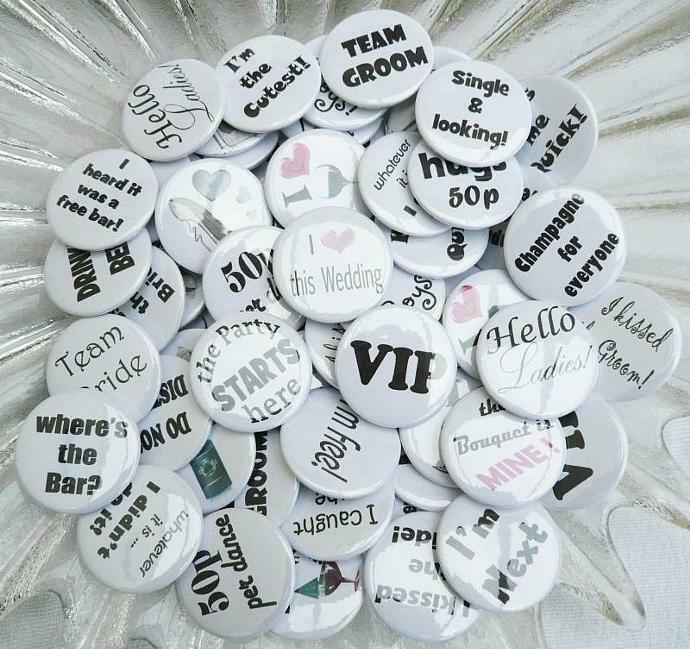 more or less of 'Team Bride'/'Team Groom') or prefer 'cents' instead of 'p', please make contact to discuss your requirements. 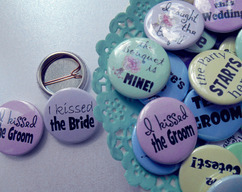 Party Badges Sets are also available for Birthdays, Anniversaries or any Special Occasion. Customisation is available, please contact me to discuss your requirements. 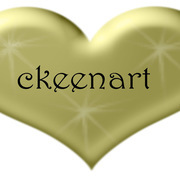 Font and images may vary, as I continually update and review designs.